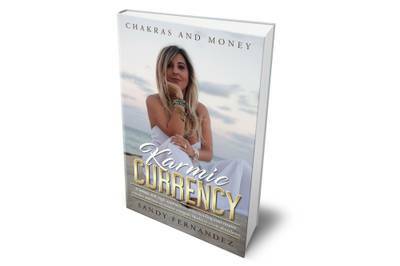 Sandy Fernandez is a Mother, certified yoga teacher, clairvoyant, Financial Advisor and author of Karmic Currency Chakras and Money. She is now the President and Founder of Karmic Currency. Since 1996, Sandy has worked in the Financial Services Industry. Sandy kick started a future in Finances that would not only bring success to herself, but also to others that seek her services. Sandy worked for several financial institutions, where she crafted and honed her trade. Within five short years in Banking Sandy rose to management, as Assistant Vice President where she was ranked top sales performer for 4 years consecutive, at which time she became a Licensed Life Insurance & Annuity Agent. Sandy’s leadership, communication and strong sales talents proved she was a force to be reckoned with. In fact Sandy was often reprimanded for being a “maverick”. Sandy often challenged the corporate status quo, and she never took no for an answer. Sandy navigated her career in banking even during the most turbulent economic times known as the Real Estate Crisis and Housing Bubble. Sandy set herself apart by always giving her clients superior service, and respect. Sandy maintained her success during those troubled times by leveraging her love of philanthropic activities, and joining charitable organizations. In 2011 Sandy was consistently ranked top 10% of the company for five consecutive years and closed over. In 2016 after being let go from her high profile position she realized it was time to pursue her own passions. In 2017, Sandy began offering her services through her own Karmic Currency. Sandy combines her many years of financial experience, with her talent and love for yoga and spirituality. These soul renewing practices have been a part of her life for over 6 years and have played a major role in helping her get through some of life’s most difficult hurdles. Yoga has allowed Sandy to grow stronger physically, and most importantly, mentally. After completing her required training she has become a Reiki Master allowing her to further tap into her spiritual gifts which she uses with each client. Today, Sandy uniquely incorporates spiritual principals with financial services to guide business owners and entrepreneurs to an abundantly, successful personal and professional life, free of financial burdens. 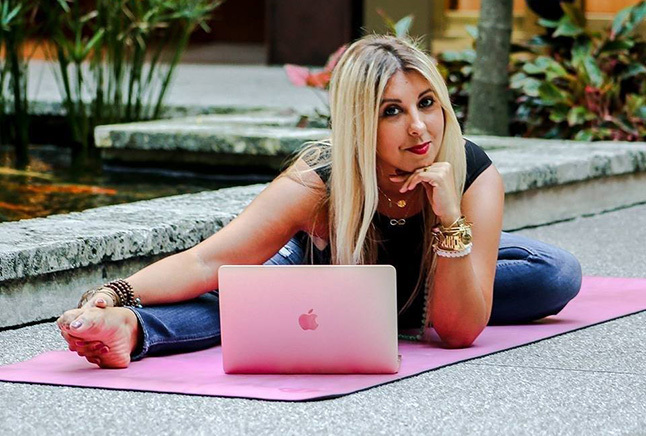 Recently she launched an online program called Chakras and Money. An in depth master class and 7 week program taking participants through an in depth journey to heal and transform their relationships with money. As Zig Ziglar once said, “Life is an echo. What you send out, comes back. What you sow, you reap. What you give, you get. What you see in others, exists in you.” Sandy lives happily by this quote, and with her help, so can you!